Home / Health / Is Gluten-Free Diet Healthy? A gluten-free diet is actually intended for those who have celiac disease or those who have gluten intolerance. For those who suffer from gluten intolerance, are sensitive to gluten or suffer from celiac disease, a variety of bread, pasta, cakes and snacks containing flour must definitely be eliminated from the daily menu. But many people decide to follow a gluten-free diet even though they don't experience celiac disease or are allergic to gluten. This diet is considered to make the body healthier and can lose weight. This assumption makes it as if gluten is the reason why someone is not healthy and can be fat. Some other people are finally interested and follow this diet. 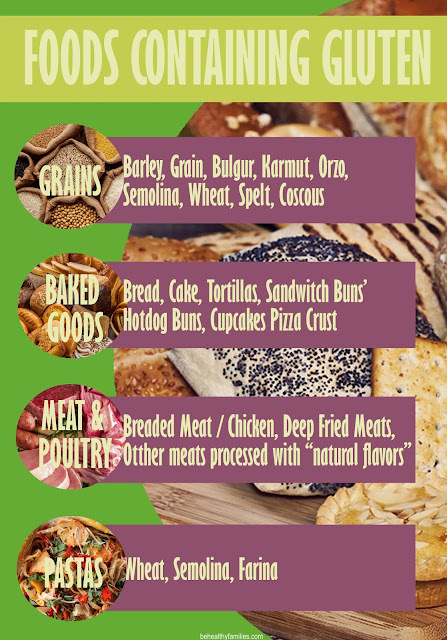 Gluten is a type of protein which is usually contained in crosses (Triticale), ordinary wheat, and barley. If you see food that has gluten-free or gluten-free packaging. It means the food does not contain gluten protein. This food is specifically for people who are intolerant of gluten. People who experience gluten intolerance will produce an abnormal immune response when the body digest by gluten. The most common thing for people who are intolerant of gluten is celiac disease, which is a negative reaction to the digestive system due to consuming gluten. Some of the symptoms that celiac sufferers will experience when consuming gluten include diarrhea, abdominal cramps, bloating, gas, constipation, and anemia. Researchers have also found another form of gluten intolerance, namely non-celiac gluten sensitivity. Usually, people who experience this will experience symptoms similar to celiac diseases, such as diarrhea, fatigue, and joint pain. But they did not experience intestinal problems after consuming gluten. This symptom can occur due to poor digestion. Often consumption of foods containing gluten does not only affect physical health. In the long term, it is feared that you can experience various types of mental illness that are quite surprising. Some types of foods that contain high gluten are sandwiches, burgers, bread, donuts, and pizzas that are so delicious. In everyday life, you certainly often 'touch' directly with these foods. A gluten-free diet makes the culprit have to avoid foods that contain wheat and other cereal plants, such as bread and pasta. At first, this diet method was for those who have celiac disease. It is an autoimmune disease, in which the immune system attacks the small intestine when the body of a patient has gluten. Lately, gluten diets have become increasingly popular, even for those who don't have celiac disease or have gluten intolerance. It is because the diet method can provide a variety of health benefits, it is also effective in helping you lose weight. However, Peter H.R. Green, MD, director of the Celiac Disease Center at Columbia University, USA, does not recommend the diet for healthy people. 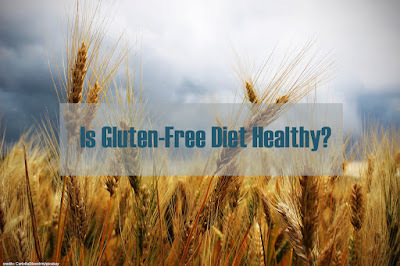 Until now there have been no studies that mention that a gluten-free diet can provide a variety of health benefits. Celiac disease experts at Harvard Medical School have not been able to ascertain whether a gluten-free diet can indeed improve the quality of health, especially the digestive tract if done by normal people. On the other hand, a gluten-free diet can actually make the culprit lack of supply of nutrients, such as vitamins, proteins, and other minerals, especially if done carelessly. In fact, this diet method can also increase the risk of developing type 2 diabetes mellitus, especially if it's not done on portions. So, what about the effectiveness of a gluten-free diet for losing weight? Related to this, you need to know that all types of diets that have the goal of losing weight return to the basic principle, namely burning calories must be higher than the number of calories that enter. What's more, the more important factors in losing weight are regular eating patterns and regular exercise. So, if you apply the gluten diet method without controlling your diet or not exercising regularly, your body weight may or may not increase. In conclusion, a gluten-free diet has not been shown to have significant health benefits. This diet can actually cause a variety of losses, especially if done carelessly. For this reason, you are advised not to try a gluten-free diet without knowing the rules, recommendations, and objectives of the related diet methods. Who needs to achieve a Gluten Free Diet? A gluten-free diet is applied by eliminating gluten-containing foods, namely grains such as wheat, oats and other grain products, in everyday foods. Celiac disease. 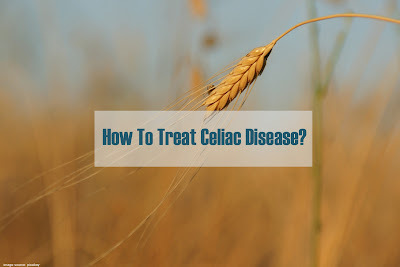 In this autoimmune disease, gluten can trigger a disruption in the body's immune system which will interfere with digestive function in patients with celiac disease. Gluten ataxia. Similar to celiac disease, gluten ataxia is also an auto-immune condition where the intake of gluten in the body will cause tissue disorders and muscle function in the sufferer. Patients with gluten or wheat allergies. Same with allergies in general, allergic sufferers certainly must avoid food or trigger allergens so that allergic reactions do not recur. Autism sufferers. The application of a gluten-free diet in people with autism together with a casein-free diet which if applied will better support the health condition of patients with autism. Gluten-free diet without the above conditions can cause the body to become malnourished due to restrictions on gluten-free foods that are quite strict.